Your heating and air conditioning system are some of the most important elements in your home; however, if you are like most people, you probably don’t even realize just how important they are until something goes wrong. Your HVAC system is responsible for maintaining the comfort levels in your home. As such, the company that you choose to maintain this system is extremely important. While opening up the phone book or doing a quick search on the World Wide Web may seem like the best way to find a company that can service your needs, this tactic can actually lead to a lot of issues. If you have ever made a rash decision before, you know exactly what the outcome of such a decision can be. In order to ensure you are getting the quality service that you need and deserve, it is advisable to do your research, consider your needs and choose a company that best meets your needs. If you are new to choosing an HVAC company, here are some tips that will help you choose a company that you can trust and that will keep your home comfortable all year long. 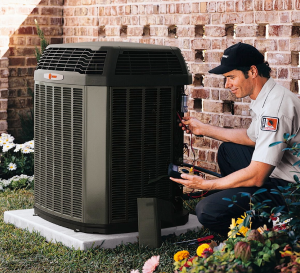 Here are some tips for choosing the best hvac company before you experience a problem and end up like a deer caught in the headlights. Start your search by asking for referrals. Do and of your friends, family members, co-workers or acquaintances use an HVAC company? Would they recommend that company to you? Referrals from people you know and trust is often the best way to find a company you can rely on. If you don’t know anyone who can recommend an HVAC company to you start doing your own research. Contact your local Better Business Bureau. Call contractors. Do a search on the World Wide Web. Take a look at the reviews the company has posted, their experience, their prices, their qualifications and how long they have been in business. These are all qualifications that will indicate whether or not an HVAC company is worth your investment. Once you have compiled a list of HVAC companies you are considering working with, start conducting interviews. Ask each company about their qualifications and experience. How long have they been in business? How many people have they serviced? What’s their technique? Do they offer emergency services? How much do they charge? An emergency with your HVAC system can arise at any time of the day or night, and any day of the year. How easy is it to get in touch with the company? Do they offer 24/7 emergency service? Once you have checked out the statistics and information of a few companies, you should start to compare the information you have collected. What type of services does each company offer? How much do they charge? Which company best meets your needs? Whichever company you decide to go with, make sure you ask for a written contract. Too many times, companies offer a service or say they will do something and fall short when push comes to shove. Having it in writing will ensure that you will receive the service you were promised. Using these tips, you will be able to find an HVAC company that will meet your needs and keep your home comfortable all year long.